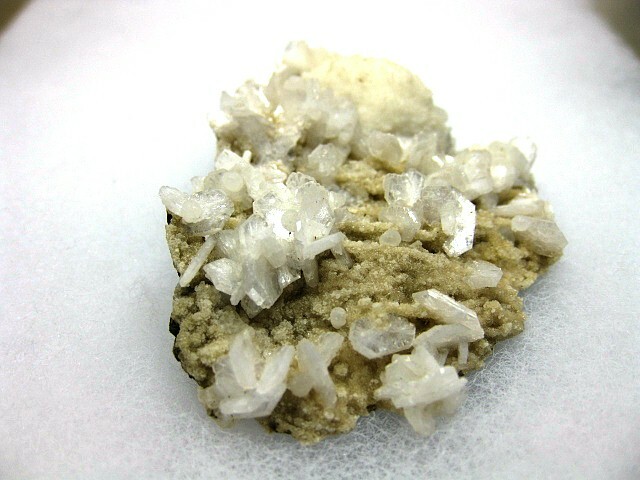 Stilbite is a common member of the zeolite group, and is found in most of the world’s important zeolite deposits. Since its original classification, Stilbite was always regarded as a single mineral species with a slightly variable elemental makeup. 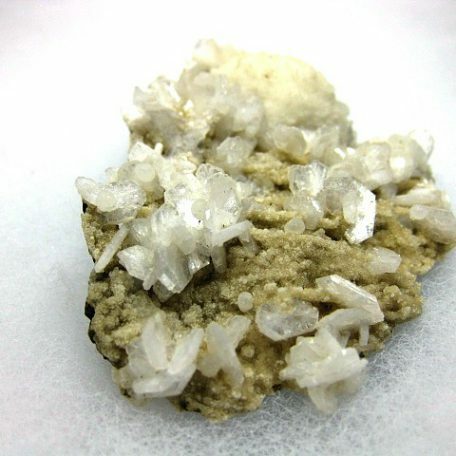 In 1997, the Zeolite Subcommittee of the IMA divided this mineral into individual sub-species, thereby regarding Stilbite as a series of two members: Stilbite-Ca and Stilbite-Na. Stilbite-Ca is the calcium-dominating member, and Stilbite-Na is the sodium-dominating member. Stilbite-Ca is the more common type, and almost all Stilbite in collections are of the Stilbite-Ca type. 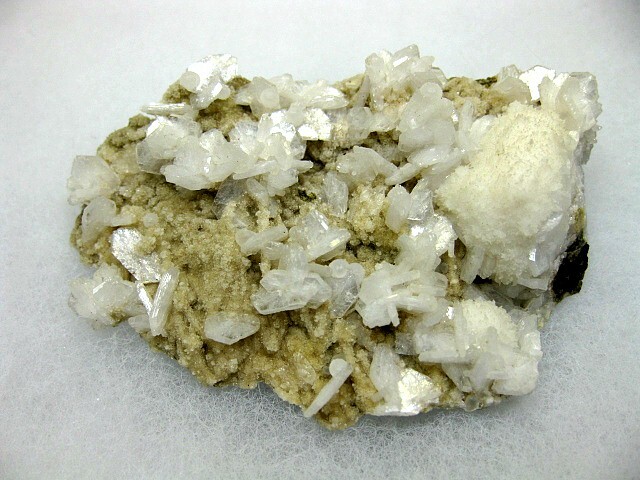 A distinction between the two Stilbite types is rarely made, and most collectors simply refer to this mineral as Stilbite. 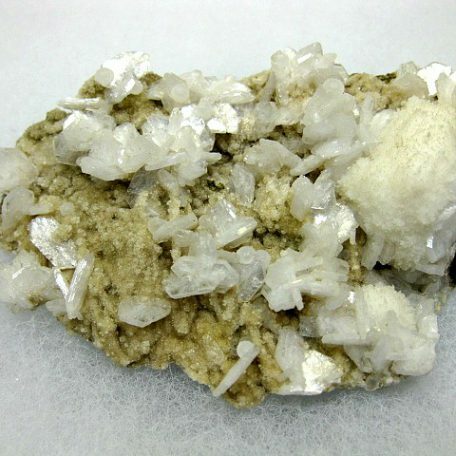 Stilbite is named for the Greek word stilbein, which means “to glitter”, in reference to the luster of this mineral which is pearly on cleavage surfaces. 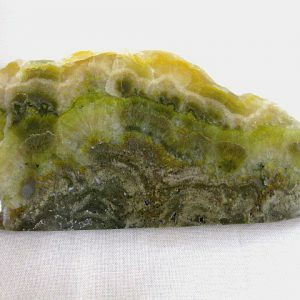 Thomsonite is an uncommon and desirable member of the zeolite group, forming in unique and interesting crystal aggregates. 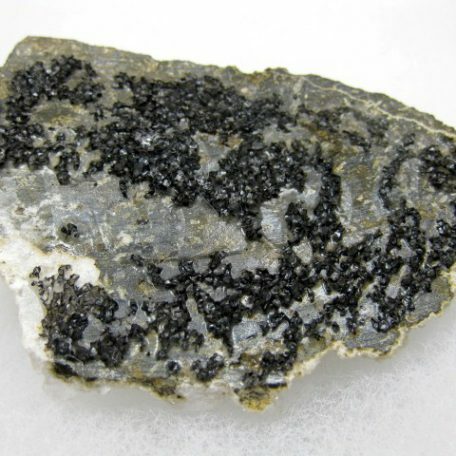 In 1997, the Zeolite Subcommittee of the IMA divided this mineral into two individual sub-species, thereby regarding Thomsonite as a series of two members. The series is defined by calcium and strontium end members. 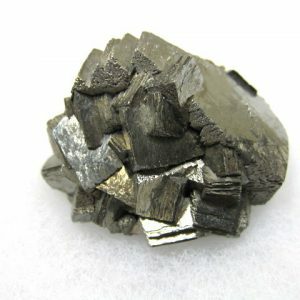 Common Thomsonite, which is calcium-dominating, is called Thomsonite-Ca, and is usually pure without any strontium. 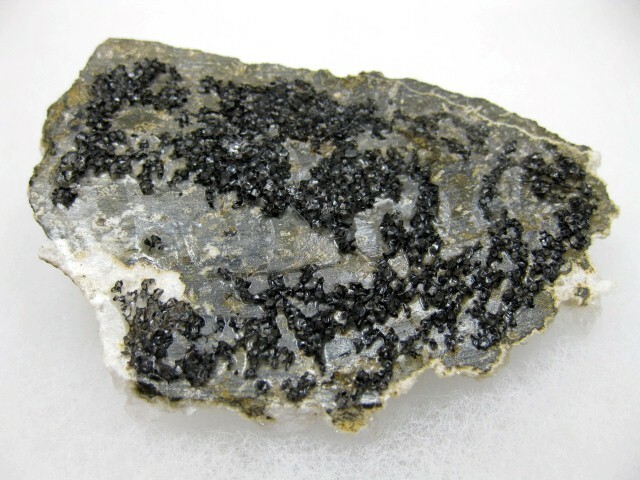 Strontium-dominating Thomsonite is known as Thomsonite-Sr, and is extremely rare. 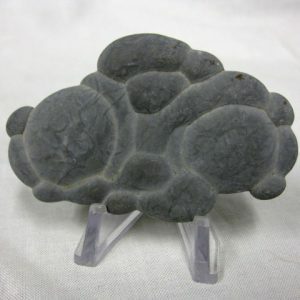 Almost all Thomsonite specimens in collections are Thomsonite-Ca. 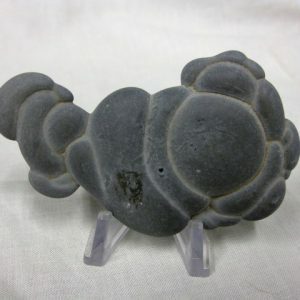 A distinction among the two Thomsonite types is rarely made, and the term Thomsonite is generally used without any further breakdown.